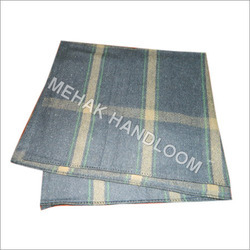 Prominent & Leading Manufacturer from Panipat, we offer hemmed blanket. Our association is eagerly occupied with manufacturing, exporting & supplying of Hemmed Blanket. To design these blankets, our designers make utilization of most recent machines in consistence with industry characterized quality principles. These blankets are intended to retain the sweat throughout activity. These blankets are tested before dispatching it to our patrons. Looking for Hemmed Blanket ?